Wayne State’s Online MBA Program…now is the time for you to take advantage of this great opportunity! The Wayne State MBA program has recently received high rankings. These rankings have been determined by low-cost and high-quality online education. Ranked 3rd out of 23 for Most Affordable Online MBA Programs by SREducation Group. Ranked among the top five online business degrees on The Best Master’s Degrees website. Registration for the Fall 2018 semester is now open! What will Sioux City look like in 10 years…or 20 years? Your ideas are needed! Help guide the future growth and development of our community by completing a short survey (10-15 minutes). A link is also available at www.sioux-city.org. Results will assist with developing a new Comprehensive Plan for the City. 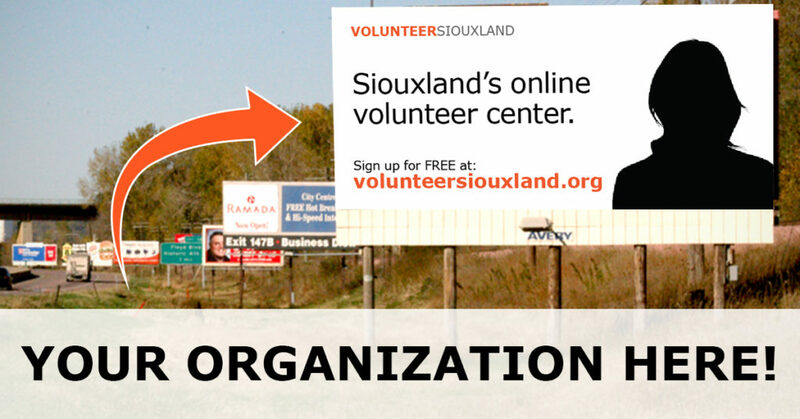 Help VolunteerSiouxland recognize some of the amazing volunteers in your organization! You’re just a few steps away from nominating someone (maybe even yourself) to be displayed on our upcoming billboards to represent your business! Tell us a little bit about you/your nominee and what makes them such a great volunteer. Upload and caption a photo you have permission to use (a “volunteer in action” picture would be great, but you choose). Submit, share and rock the vote! The top 12 vote recipients will make it to the final selection – so every vote counts. Create a FREE user account at volunteersiouxland.org by April 1, 2018. This is required for this submission to be considered for the final billboards. 1. Nominate yourself because you’re a great volunteer. 2. Nominate volunteer(s) that you know do good for our community. 3. Make social posts on your Facebook / Twitter / LinkedIn to help get the word out about the contest. 4. Include in email blasts that your organizations send weekly / monthly to encourage people to nominate and vote. 1. Don’t be shy to share your link more than once. Share it on your profile(s) once per day! 2. Use multiple ways to communicate. Facebook, Twitter, Instagram, Snapchat, email, text, etc. 3. When sharing your link, give your audience a reason on why they are voting for your submission. A little bit can go a long ways! 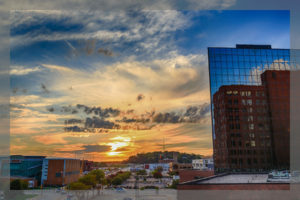 SIOUX CITY (Iowa, Nebraska, South Dakota) – Siouxland secured a hard-earned “three-peat” by climbing to the top of national economic development rankings for the third consecutive year. After achieving the first in the nation ranking in both 2015 and 2016, Siouxland completed the trifecta by securing the top spot in calendar 2017 according to results released by Site Selection magazine earlier this week. Twice in the past decade, Siouxland had won back-to-back titles, but this is the first time the tri-state region has earned the prestigious recognition three years in a row. 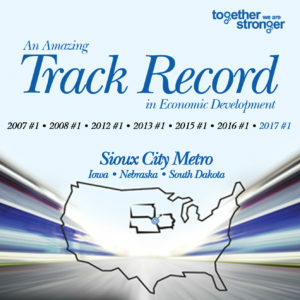 Additionally, the 2017 ranking marks the seventh time since 2007 that the Siouxland Metropolitan Statistical Area (MSA) ranked first in the nation in its population category for economic development. The Sioux City MSA was also recognized as the top economic development community for populations under 200,000 in 2007, 2008, 2012, 2013, 2015, and 2016. The Siouxland metro ranked second in both 2009 and 2014 and finished third in 2006. The metro region has ranked in the top three nationally in its population category in a remarkable ten of the last twelve years. Two businesses, one woman, many goals. Innovation Market, two time winner, Sara Gotch has a great outlook for LOVOTO LLC (2nd place IM 2013) and Gnarly Pepper (1st place IM 2017) in this 2018 year! In the past, LOVOTO LLC has marked its brand as a digital scrapbooking company, bringing old printed photos into the digital world, with a side of videography and freelance graphic design. Today, LOVOTO LLC is shifting its direction into a creative design company (graphic design + social media + website design + videography)*. Sara has worked with companies such as: Lieber Construction, White Lake Hunting Lodge and Elite Dentistry. Moreover, Gnarly Pepper, a custom spice blend company that pairs with plain greek yogurt has reached many goals through its first year of business. Starting out with larger, value-sized packaging to tear packets, has allowed Sara to reach more customers on a larger scale. Gnarly Pepper, though a food company, strives to make the world a better place. Sara and her fiancé, Zach, have been traveling the US. From coast-to-coast, Sara has tapped into her brand more and more about a few things other than it being the healthier option. Gnarly Pepper is providing less waste, teaching the ‘free the guilt’ mentality and hitting markets like: gluten free, vegan friendly & Non GMO. In reference to ‘creating less waste’ it’s the understanding that one would by a large tub of plain greek yogurt and mix and use the blends as needed. No more extra containers, bottles etc. in your fridge. Gnarly Pepper hopes to expand its flavor options soon. 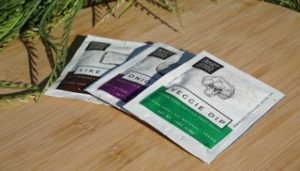 Flavors right now include: Veggie Dip, Onion Dip & Like Mayo (< a great mayo/miracle whip alternative for chicken salad, pasta salad and more) — The Veggie and Onion blends are very versatile with its uses: canning, marinating, hummus and more. The Gnarly Pepper tear packets pair easily with the 5.3 oz cups of plain greek yogurt. A great way to stay healthy for lunch, snacking and even dinner. Many people view greek yogurt as a breakfast item, but Gnarly Pepper is hitting your salty, savory taste buds — making it an everyday versatile item. Within this Startup Write-up, Sara would like many business leaders, community staff and others to see her as an innovator. Sara claims to have 60+ ideas in her iPhone notepad waiting to be unleashed. Not all of them great ideas of course, but who would have thought fidget spinners would have trended like they did? Sara is seeking investors and like-minded people to reach out to her to build brands and startups. No idea is a bad one, until it is tested. Sara attended Venture School in the spring of 2017. While attending, she learned how to test and shift ideas into profitable businesses. “The only way to build a community on ideas (outlandish or not) is to bring everyone together. The Innovation Market is a great starter for that, but then what? I feel like there is a push in the right direction in our community to help entrepreneurs, but the entrepreneurs themselves have to make things happen,” Sara mentions. Sara invites you to attend and vote on ideas at the Innovation Market, where she will speak, February 15, 2018 • 6pm at the Sioux City Public Museum. *not limited to these services— Sara is a remote designer, on-site photography & videography will need to be scheduled in advance. Wayne State College MBA Program…now is the time for you to take advantage of this great opportunity! As a busy professional, you want to move ahead in your career, but getting away from the workplace to attend classes on a college campus can be impossible. Wayne State’s online MBA program provides the perfect solution. Working professionals can earn a high-quality MBA from anywhere in the world. On top of the convenience, the program is nationally ranked for affordability. The MBA program is 30 credit hour, non-thesis, 100 percent online program with no required visits to campus. Tuition is a ﬂat $348.75 per credit hour regardless of residency. Low cost doesn’t mean a sacriﬁce in terms of quality. Wayne State’s MBA classes are generally taught by on-campus faculty with terminal degrees or appropriate credentials in their ﬁelds. Wayne State College’s MBA program is proud of the signiﬁcant beneﬁts of accreditation by IACBA: Enhanced Reputation, Evidence of Quality, Sharing of Best Practices, Public Accountability, and International Partnership Opportunities. Wayne State College rose to the top among programs across the nation that combine quality and affordability from http://www.affordablecolleges.com/rankings/affordable-online-mba-programs/! Additionally, The Wayne State MBA program has recently received high rankings on four independent ranking sites. These rankings have been determined by low-cost and high-quality online education. Ranked 14th out of 20 for best online MBA programs from Great College Deals. Ranked 6th out of 25 for most affordable online colleges on SR Education Group website. On average, there are approximately 100 students enrolled in the program every semester. Now is the time for you take advantage of this great opportunity! Contact us today! Registration opens Monday, November 13 for the Spring 2018 semester! Please contact Jennifer Brandow, MBA Director at Wayne State College by e-mailing mba@wsc.edu or calling 402-375-7587. Jeana Goosmann, CEO & Managing Partner of the Goosmann Law Firm, is pleased to announce their growth and expansion in the Omaha market and the addition of three new team members: Joel Carney, Josh White and William J. Hale. Joel Carney has joined the Goosmann team as Managing Partner of their new Omaha office. In addition to Carney, Josh White, Former UNO Senior Associate Athletics Director, has joined their team as Executive Director of the Omaha location. Attorney William J. Hale has also joined the team. 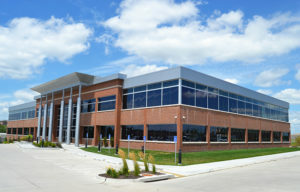 Goosmann opened their new Omaha office in the innovative and newly built Advent Building located in West Omaha this past July. 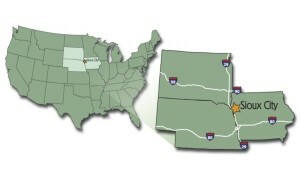 Omaha is the firm’s third office location in addition to their offices stemming up and down the I-29 corridor in Sioux City, Iowa and Sioux Falls, South Dakota. 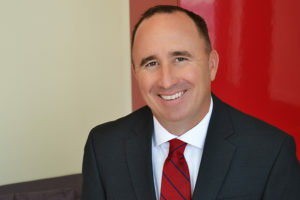 Carney joins the Goosmann team with over seventeen years of experience as a litigation attorney with a wide range of experience in all realms of the dispute process involving creditor’s rights, bankruptcy, and litigation. During his career, he has represented financial institutions, banks, insurance companies, small and large businesses and individuals dealing with creditors’ rights issues, bankruptcy representation, personal injury, property damage litigation, wrongful death, subrogation, product liability and more. Carney attended law school at Creighton University in Omaha, where he first met Jeana Goosmann. After law school, Carney and Goosmann worked closely as part of the Iowa and Nebraska Bar Association’s Young Lawyers Division. 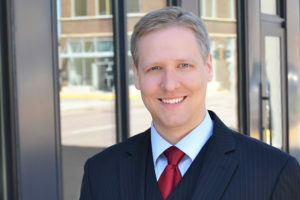 Carney is an active member of the American Bar Association and the Iowa Bar Association and has held multiple leadership positions in the Nebraska Bar Association for more than a decade. He is licensed to practice in Nebraska and Iowa. “I love my job because every case in litigation is unique and challenging. I pride myself in getting solid results for my clients and keeping them involved every step of the way,” says Carney. Executive Director Josh White oversees the development and continued growth of the Goosmann Law Firm as the Executive Director of the firm’s Omaha location and prides himself as being a “culture keeper.” White manages the firm’s business development efforts and long-term client relationships for their Omaha market. White’s experience spans from seventeen years of leadership and management in various positions including, Senior Associate Athletics Director at the University of Nebraska Omaha, Assistant Athletics Director at the University of Nebraska Lincoln, and Associate Director of Membership Services at the NCAA. He understands the legal industry having received his Juris Doctor at the University of Nebraska College of Law. White has been actively involved in Nebraska professional organizations and Omaha and Lincoln’s community charities, having served on boards and committees, including: the National Association of Collegiate Directors of Athletics, FBI Citizens Academy, Quality Living Institute (QLI) Fair, Victory Boxing Club, the Nebraska Sports Council Board of Directors, American Heart Association, and the Nebraska State Board of Health. Joining Carney and White, Attorney William J. Hale will focus his practice on Business and Intellectual Property Litigation. Hale protects clients “secret sauce” when sensitive, confidential, and proprietary information, ideas, and concepts are compromised. Hale joins the firm with seven years of experience working in the security industry handling investigations, reporting, consumer relations and settlements. 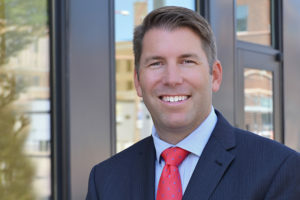 He received his Juris Doctor from Creighton University School of Law, graduating top of his class, and is licensed to practice in Nebraska and Iowa. “The firm’s business approach, team, and culture will be attractive to Omaha’s top talent. The firm offers a high-energy, fast-paced, family-friendly environment that encourages and rewards excellence, high achievement, innovation, and professional development. Our team supports the growth and development of our attorneys from new ideas, innovative tactics, strategic business ideas, expanding practices, and working together. As a woman-owned firm, we value diversity among our team and our communities to enrich the lives of our professionals, clients, and cities. I am looking forward to growing and enhancing our team to ultimately better serve our clients,” says Carney. The Goosmann Law Firm looks to expand the firm’s Omaha team and will be actively recruiting throughout 2017 and 2018. The Goosmann Law Firm is a full-service law firm with locations in Omaha, Nebraska; Sioux City, Iowa; and Sioux Falls, South Dakota. To learn more about the Goosmann Law Firm, visit their website at www.GoosmannLaw.com or call (402) 280-7648. When navigating the choppy waters of criminal records, a common question comes up. “Why can you report criminal convictions that are over 7 years old?” The simple answer is because the Fair Credit Reporting Act, (the federal law that regulates background check companies like One Source) allows for convictions to be reported indefinitely unless prohibited by a state law. The 7 year rule we often hear about relates to credit history information, not criminal information. Where did the seven year rule come from? Under federal law, the consumer reporting agencies cannot report an arrest over seven years old. However, they may report a conviction no matter how old it is. So if you are arrested and the charges are dismissed, the consumer reporting agency is not supposed to report the arrest if the arrest is over seven years old. If the arrest results in a conviction, (a finding of guilt) then the agency can report the information forever. There are currently 5 states that do not allow for criminal convictions to be reported unless the applicant makes a certain amount in a year and 3 that prohibit regardless of income: See State Restriction on Criminal Reporting. It is always helpful to include the income and the applicant’s state of residence when entering orders, so One Source knows how to keep you compliant. Want to know more? Feel free to reach out to the Operations team at 800.608.3645 or email orders@onesourcebackground.com. 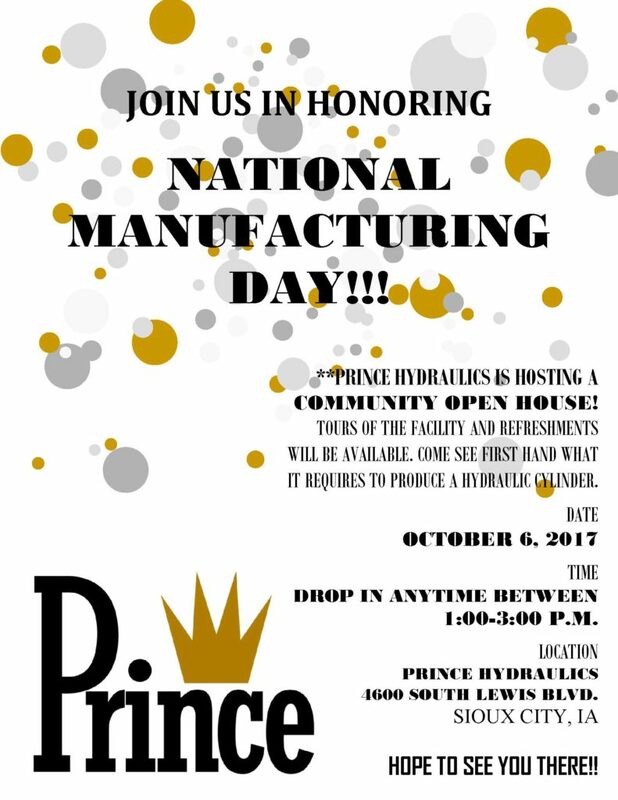 Celebrate National Manufacturing Day on Friday, October 6th! Prince Hydraulics located at 4600 S. Lewis Blvd. will have a Community Open House from 1:00 PM to 3:00 PM. Stop by and take a tour and learn what it requires to produce a cylinder. The Siouxland Chamber of Commerce presented the W. Edwards Deming Business Leadership and Entrepreneurial Excellence Award to long-time community leaders Jim and Bev Wharton at their Annual Dinner this evening. This marks the 27th consecutive year the Deming Award has been presented by the Siouxland Chamber dating back to 1991 when the initial recipient was Ted Waitt of Gateway. For decades, the Whartons have been known for the numerous public and private sector leadership roles they have held throughout the Siouxland tri-state region. Perhaps most significantly, Bev served as the President of Briar Cliff University for 15 years and Jim served in elected office on the City Council in Sioux City, including terms as Mayor, as well as Mayor Pro-Tempore. In addition to her tenure as President of Briar Cliff University, Bev served for many years as a senior executive with the corporation known today as MidAmerican Energy. Jim’s service as Mayor of Sioux City was complemented by his work in the local media, as well as roles in executive management, fundraising, marketing, and public relations with organizations including Gateway, the Diocese of Sioux City, Mercy Medical Center, and the Siouxland Community Health Center. Not only were the Whartons engaged in the for-profit sector, but their collective contributions to local not-for-profits and regional charities has been equally impressive. Over the course of their working careers, the couple served in a variety of incredibly broad and diverse volunteer leadership roles stretching from the United Way to the Siouxland Chamber of Commerce. Bev is a past Chair of the Siouxland Chamber’s Board of Directors and continues to serve on the organization’s Good Government Committee. Jim served as the emcee for countless community philanthropic events including many years leading the program for the Chamber’s Annual Dinner. The W. Edwards Deming Business Leadership & Entrepreneurial Excellence Award is presented in honor of Dr. W. Edwards Deming, a Sioux City native and world-renowned statistician, philosopher and educator. This award is designed to recognize local business executives who have exhibited outstanding leadership within the Siouxland community, as well as originality, quality, productivity and performance within the realm of their business. Award Criteria: The W. Edwards Deming Business Leadership & Entrepreneurial Excellence Award is presented in honor of Dr. W. Edwards Deming, a Sioux City native and world-renowned statistician, philosopher and educator. This award is designed to recognize local business executives who have exhibited outstanding leadership within the Siouxland community, as well as originality, quality, productivity and performance within the realm of their business. William Dible, Terra Industries Inc.
Eldon Roth, Beef Products, Inc.
Leonard Gill, LP Gill, Inc.
Mike Wells, Wells Enterprises, Inc.